CNN had a very robust prime time ratings performance and tremendous growth this month, with the network easily dominating MSNBC in the key demographic adults 25-54 in November. For the first time since February 2017, CNN beat MSNBC in weekday (M-F) primetime (459k vs. 431k) among adults 25-54. CNN also topped MSNBC in M-Su prime time (395k vs. 360k) in the key demo 25-54, now for the second straight month. CNN grew an impressive +42% in total viewers and +36% among adults 25-54 in weekday prime time vs. last year, while MSNBC is down double digits (-10%) in the key demo. CNN also grew by double digits in M-Su prime time. CNN’s November ratings hit near presidential election year levels, with the network posting its third-highest November M-F prime time audience in 17 years (since 2001) in total viewers (just after 2008 and 2016). The network also registered its third-highest November M-Su prime time since 2001 in total viewers (also following 2008 and 2016). CNN also surpassed MSNBC in the other dayparts including total day, daytime and weekends among adults 25-54 this month. CNN has now beaten MSNBC for 53 straight months in total day in the key demographic 25-54 (231k vs. 183k), the longest monthly streak since January 2010. This was also CNN’s third-highest November total day since 2001 in total viewers (behind presidential election years 2016, 2008). Every hour of CNN’s daytime programming (9am-4pm) topped MSNBC’s dayside programming this month among adults 25-54. During the day, CNN had a +30% advantage over MSNBC in the key demographic adults 25-54 (218k vs. 168k), with CNN now outperforming MSNBC for 57 consecutive months in this important daypart. This is the longest streak on record. And this was CNN’s third-highest November daytime average in total viewers since 2001 (after 2016, 2008). CNN easily outperformed MSNBC during weekend programming among adults 25-54 in both total day (167k vs. MSNBC’s 100k) and prime time (172k vs. MSNBC’s 110k). On Saturdays, CNN delivered higher demo audiences than MSNBC for 22 out of 24 hours and on Sundays, beat MSNBC for 23 of 24 hours among adults 25-54. CNN ranked #1 in cable news among adults 25-54 on Saturdays at 11am and from 1-7pm and on Sundays from 3-5pm, 6p-8p, 9p-12a, 1a-3a and at 4am. Among ALL cable networks, CNN ranked #6 in total viewers and adults 25-54 in total day this month. This marks the 11th straight month that CNN is a Top 10 cable network among total viewers in total day. In M-F prime time, CNN ranked #6 in total viewers and #7 among adults 25-54, the fifth straight month that CNN ranks as a Top 10 cable network among total viewers in M-F prime time. New Day with Alisyn Camerota and John Berman (6-9am) had its third-highest November among both 25-54 (192k) and total viewers (611k) just after 2016 and 2017. This is also the overall network’s third-highest November in the morning daypart since 2008, among both total viewers and P25-54 (behind 2016, 2017). The Lead with Jake Tapper (4pm) ranked #1 in cable news delivering 295k among adults 25-54, up +8% from a year ago. Fox (288k) was down -10% in the hour and MSNBC (234k) was down by -2%. The Tapper-led program has ranked #1 in the time period for three of the past 5 months. This was the second-highest November on record for the program (behind only election year, 2016) among both total viewers and adults 25-54. The Situation Room with Wolf Blitzer ranked #2 in cable news this month, easily topping MSNBC at both 5pm (298k vs. MSNBC’s 214k) and at 6pm (310k vs. MSNBC’s 224k) among adults 25-54. November marks the sixth consecutive month that CNN has outperformed MSNBC at 5pm and 6pm. This is the third-highest November for the Sit Room and the network overall since 2008 (behind only 2016 and 2017) among adults 25-54 (298k) at 5pm. It’s also the third-highest November at 6pm (since 2008) in total viewers (just following 2016 and 2017). The Sit Room grew +6% in total viewers during the 5p hour and +5% during the 6p hour. Erin Burnett Outfront (7pm) beat MSNBC’s Hardball (344k vs. 254k) for the sixth straight month. The program has now outpaced MSNBC for nine of the past 12 months. This is EBOF’s third-highest November since 2001 in total viewers (1.086 million; after 2008 and 2016)) and the third-highest in the demo since 2008 (behind 2016 and 2017). EBOF has also seen audience growth from last year, increasing +8% in total viewers. Anderson Cooper 360 (8pm) surpassed MSNBC’s All in with Chris Hayes for the fifth straight month in the key demo adults 25-54 (372k vs. MSNBC’s 296k) this month. This is AC 360’s second-highest November on record in total viewers (1.225 million) and third-highest in the demo 25-54 (372k) just following the presidential election year in 2016. The Cooper-led program grew the most in cable news at 8pm among total viewers, increasing +15% compared to a year ago. Cuomo Prime Time (9pm) which launched in June, was CNN’s #1 news program in November in total viewers with 1.288 million. Cuomo delivered the network’s third-highest 9pm November viewership on record since 2003 in total viewers, and among P25-54 (just after 2008 and 2016). The Cuomo-led program was up the most in cable news at 9pm – increasing +25%, Hannity was down (-10%) and Maddow was up +4% in total viewers. The program also showed the only growth in the demo this month, growing +2%, while Hannity was down -16% and Maddow lost -15% of her audience versus a year ago. CNN Tonight with Don Lemon (10pm) grew the most in all of cable news prime time this month, increasing an impressive +34% in total viewers and +15% in the demo adults 25-54. By comparison Ingraham was down -2%/-7% respectively and MSNBC’s Last Word was down -1%/-24% vs. last year. The Lemon-led program had its second-highest November on record among both total viewers (1.218 million) and adults 25-54 (386k), just behind the 2016 presidential election year. The program was the No.1 news program on CNN among adults 25-54 (386k) in November. At 11pm, CNN Tonight easily beat MSNBC’s 11th Hour with Brian Williams in the key demo adults 25-54 (324k vs. 276k). The Lemon-led second hour of CNN Tonight grew the most in cable news at 11pm, increasing +25% in total viewers and +17% in the demo adults 25-54 compared to a year ago. MSNBC was down -23% in the demo 25-54 vs. last year. Other key CNN programs including Early Start with Christine Romans and Dave Briggs, CNN Newsroom with Poppy Harlow and Jim Sciutto, At This Hour with Kate Bolduan, Inside Politics with John King (weekday), CNN Right Now with Brianna Keilar, CNN Newsroom with Brooke Baldwin, Smerconish, The Axe Files with David Axelrod and New Day on weekends all easily surpassed MSNBC this month, posting higher demo 25-54 audiences. CNN’s Sunday morning programs including Inside Politics with John King (8am), State of the Union with Jake Tapper (9am), Fareed Zakaria GPS (10am) and Reliable Sources with Brian Stelter (11a,) all posted more viewers in the key demo 25-54 than MSNBC, ranking #2 in cable news. On Saturdays, CNN Newsroom with Fredricka Whitfield was #1 in November in the demo adults 25-54, as was S.E Cupp Unfiltered (6pm) and The Van Jones Show at 7pm. CNN Newsroom with Ana Cabrera was #1 in cable news on Saturdays/Sundays in the key demo 25-54. Anthony Bourdain Parts Unknown (Season 12) averaged 379k among P25-54 and 992k in total viewers across the full season (seven Sunday premieres; 9/23/18-11/11/18); ranking #1 in the demo 25-54 in cable news within its time period across every episode this season. This is Life with Lisa Ling (Season 5) delivered 312k P25-54 and 798k in total viewers across its full season (eight Sunday premieres; 9/23/18-11/18/18). The program ranked #1 in cable news in the key demo 25-54 and #2 in total viewers. 2018-to-date, CNN is averaging a +6.8% lift (or +15k) in Total Day among P25-54 with OOH viewers. Quarter-to-date (thru 11/4), CNN’s lift is larger, at +7.4% lift (or +15k). CNN is tied with TBS for #2 with OOH viewers gained (+15k) among all reportable OOH networks, behind #1 ranked ESPN (+29k). 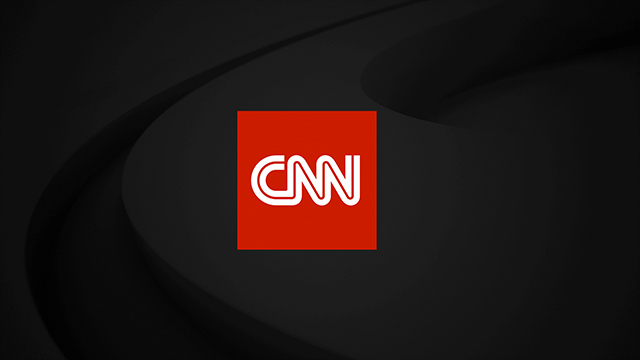 CNN Digital viewing added a 2.4% lift to CNN’s TV audience in November. CNN Digital viewing added a +6.8% lift to CNN‘s prime time 2018 Midterm Election audience and a +7.2% lift in sales prime (7p-3a) on Tuesday, 11/6/18.